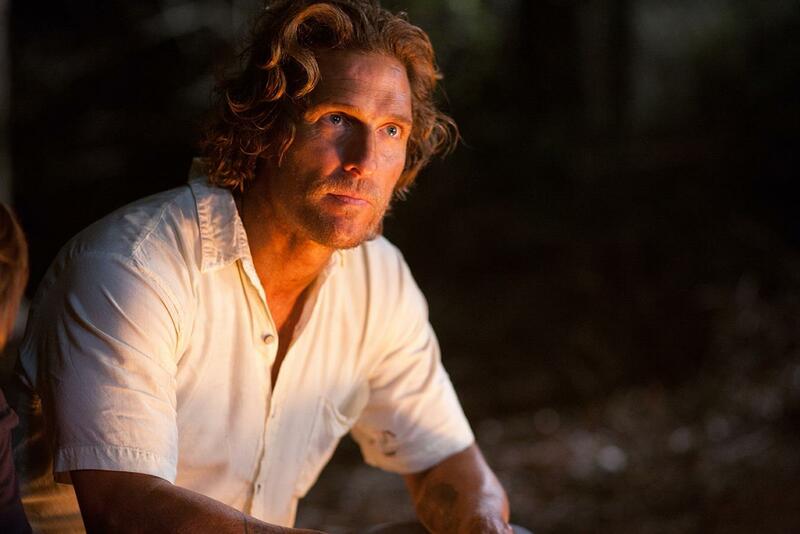 What has happened to Matthew McConaughey's career? Remember the days when we made fun of him for not being able to keep his shirt on in all those terrible romantic comedies? No-one's making fun of him anymore. After impressive supporting turns in Bernie, The Paperboy, Magic Mike and Killer Joe, he gives us his most charismatic performance yet in Mud. Set in a swampy, trailer park town in Arkansas, McConaughey plays a murderer on the run from the law. We first meet him hiding out in an abandoned boat up a tree (!) through the eyes of 14 year old Ellis. The entire story in fact is seen from Ellis' innocent perspective. He's a little wary of the outlaw who calls himself Mud, and a little starstruck too. Cautiously he helps the crim get a message to his girl (played by Reese Witherspoon) and slowly gets involved in things that a 14 year old should really stay away from. From the outset, this is such an easy film to fall into. Despite the grubbiness of the setting, there's something intoxicatingly exotic about this riverside town, and Ellis is immediately someone you want to stay with as he's drawn into Mud's alluringly illegal world. Although McConaughey's performance has gotten the lion share of praise for the film, the cast across the board excellent. Tye Sheridan has a real naturalness and easily holds attention as the core and moral compass of the film. No less an asset is the script, which slowly pulls back layers of the chief characters while meting out plot points at an enticingly steady pace. I have to admit, I avoided this film when it was first released. I hated Nichol's previous film Take Shelter, and feared more of the same. I needn't have worried, this is much more even handed and a more emotionally rewarding experience. It's a little bit crime drama, a little bit coming of age story, a little bit American Gothic and a little bit of a romance. What's not to like? Oh, Matthew McConaughey still takes his short off.